What are we doing here?? It’s a tasting in London of the 2016 Bordeaux vintage, organised by the Union des Grands Crus de Bordeaux, a group of the top chateaux located in the finest appellations in the Gironde. It’s a room full of the sort of people who make, buy and trade cases of serious, top-flight claret. And us. 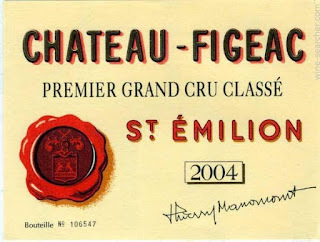 They say that beggars can’t be choosers, but I choose straight away, and make a beeline for the Chateau Figeac, a Saint-Emilion which is supposedly a favourite of Bryan Ferry. Perhaps that’s because of the label design, on which he and I (as in so many things, of course) are as one. But in one of the very few ways in which we differ, he at least might be wealthy enough to drink it. Because Figeac 2016 has been selling en primeur just shy of £1900 a case. Which means that with all of the duty, VAT, bells and whistles, a bottle off a shelf is always going to be the wrong side of £200. And, well, it’s pretty good. It’s nowhere near as good as it’s going to be, and you wouldn’t really get £200 of delight out of a bottle today, but it was a pleasure to experience. Like hearing, for the first time, someone peck out the opening notes of Beethoven’s Fifth on a piano, and then imagining for yourself what it might eventually become when it’s orchestrated. But surrounding us were the kind of people regularly involved with claret at £1900 and more a case. Not involved with drinking it, necessarily, but with advising and trading in it. 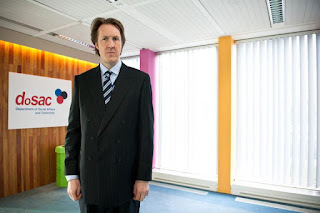 The sort of people who would be buying wine for Bryan Ferry. And looking around, it appeared that the claret market must be a last bastion of the traditional wine merchants of the upper class. We’re talking old school posh, with the probable emphasis on their old schools. 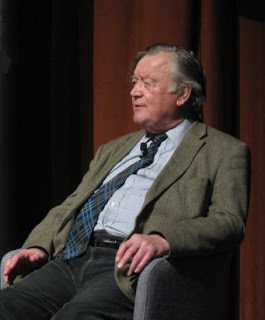 Despite the fact we’re in town, chaps are wearing the sort of gorse and heather tweed jackets that should only be put on when you get West of the Chiswick Roundabout. 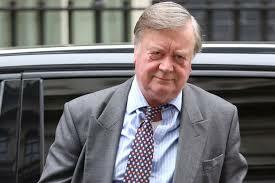 The older variety exhibit a sort of confident shabbiness, whether in their tweeds or slightly rumpled suits. The younger ones look like SpAds. There are ladies in pearls. Now this is very different from some of the modern importers’ tastings, where there are wines from all over the world, and prices all over the option. Where there are trendy-looking young people who probably run restaurants in Hackney, or wine bars in Peckham. Where there might even be people who actually drink the wines. Instead, here are the sort of people one traditionally trusted with one’s money, which is what all of this is presumably about. Because people buy 2016 claret at £200 a bottle to drink (or, perhaps, to sell on) in a decade’s time. And the only people trusted to advise them what it’s going to be like in ten years’ time are the people who drank a similar claret ten years previously. So from the days when claret was an entirely upper class pursuit, the whole thing must have perpetuated itself among the posh, vintage after vintage, generation after generation, like some kind of peerage. Man hands on claret trade to man, it deepens like a coastal shelf. Perhaps it’s in the blood – which, when you think about it, is another term for inheritance. And here comes young Rupert, who can afford to learn the trade without earning very much for now. And presumably in ten years’ time, he’ll be running the show, and saying affably “Have you bought 2026 yet? Because I remember how taut the ‘16s were at this stage, and believe me these will loosen up in the way that the ‘16s did, and you’ll wish you had a case or three in the cellar. The wines themselves go along with this, projecting that air of superiority with which the posh are so comfortable. Whereas there we stand like a couple of inferiors, sampling wines which to us are really pretty much the same. I mean, sorry, but they’re all from Bordeaux, they’re all the same age, they’re all just opened. It’s like sniffing babies; they all sort of smell of milk, except for the one that’s clearly done a poo. So we retreat into winespeak. This one is a bit grippy around the edges, but how’s that going to mellow as the day grows long? That one takes to the track well, but is it going to fade over the final third? You see, I wouldn’t know. Perhaps I’m just not posh enough.